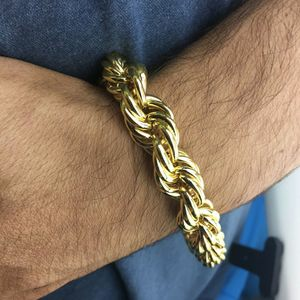 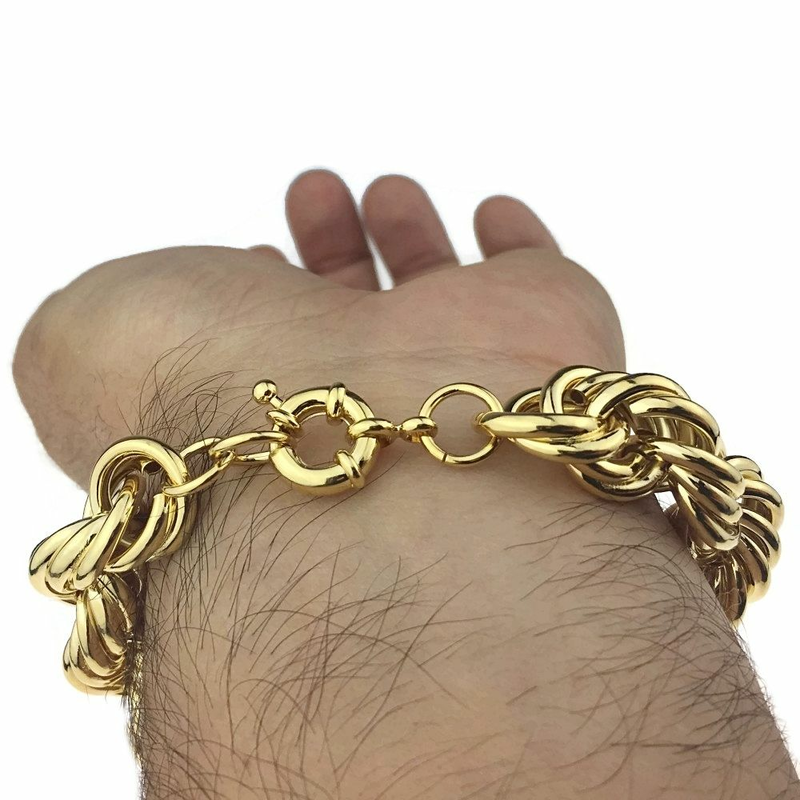 Men's hollow rope chain hip hop bracelet. 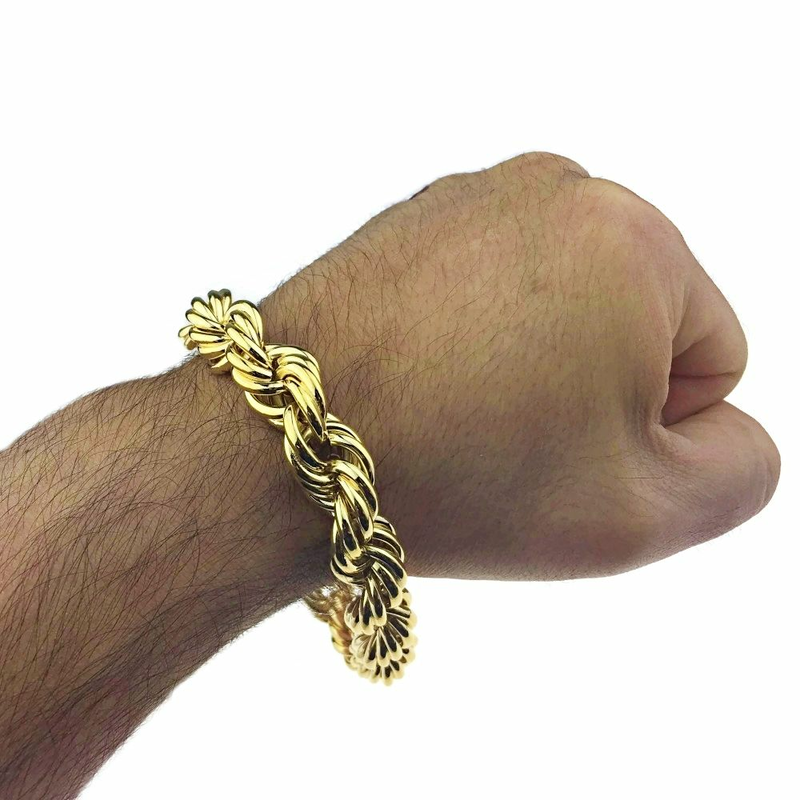 Dazzling 14K gold plated over brass metal. 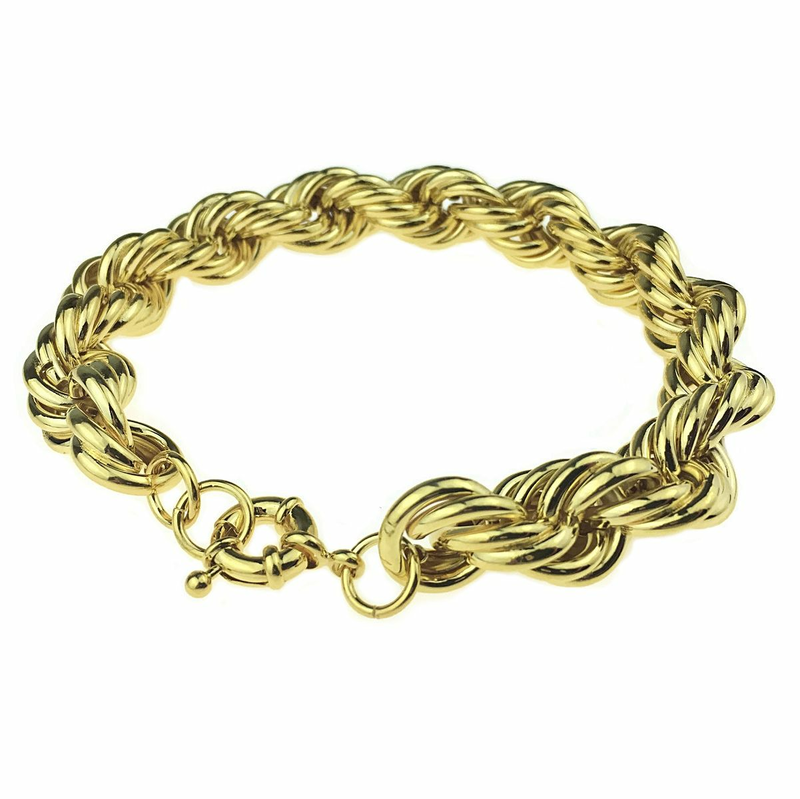 Measures a huge 14mm wide and 9" in long. 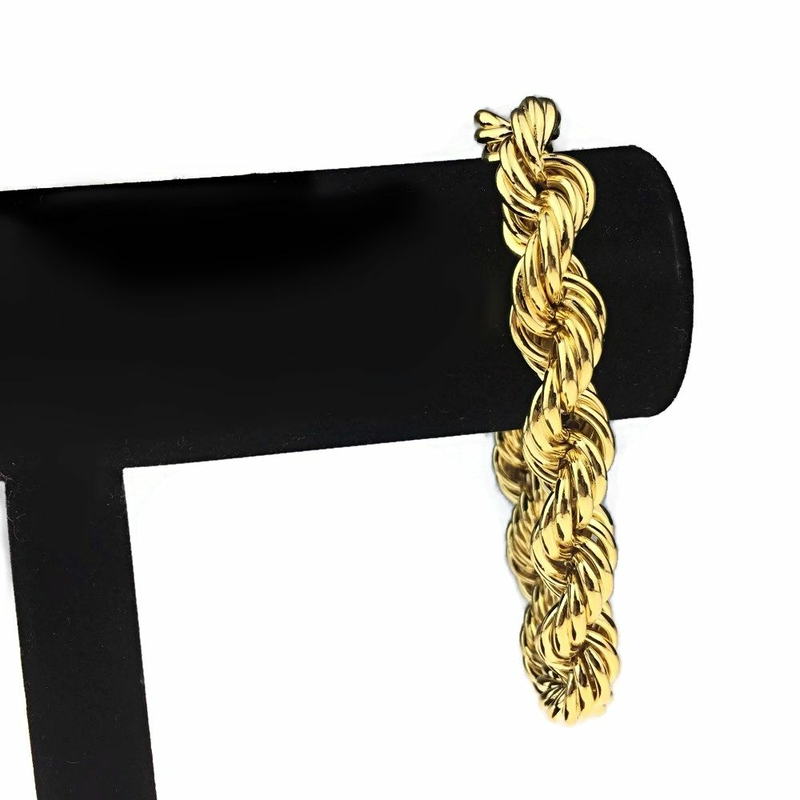 Stylish and secure spring ring clasp.